A remarkable discovery was made in 2017, regarding the ever-mysterious Inca quipu (pronounced: key-poo). The quipu or khipu is an intricate system of colorful strings and knots, with each color and knot telling a different story. These knots were originally thought to only contain numerical information and have baffled archaeologists for hundreds of years. It was believed that this technologically and architecturally-advanced civilization, had no written language – but that is only true if you consider language to be heard (spoken) and seen (written). However, what if language could also be felt, much like a blind person would read brail? In a discovery made by archaeologist Sabine Hyland, we have come that much closer to learning the true nature of these elusive quipu. Hyland discovered a pair quipu knots in an Andean village, which had been kept secret and preserved by the village elders, for generations. These quipu are larger than the previous ones discovered, and the village elders told Hyland that they told a “story of warfare” and “were created by local chiefs”. 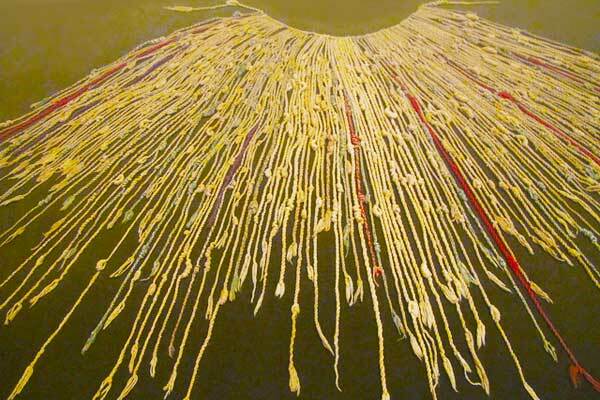 This is the first confirmation by descendants of the Incas, that the knots do in fact tell a story. In the wooden box which had kept the quipu safe for centuries, were also dozens of letters from the 17th and 18th centuries. These letters were official documents and correspondence between the Spanish and village leaders. 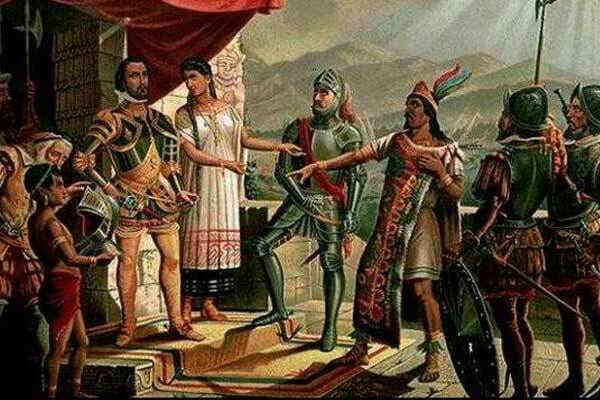 Another startling discovery was that Spanish chroniclers noted that Inca runners carried quipu letters. It was thought that the Incas used quipu letters during rebellions in order to safeguard their correspondence against the Spanish conquistadors. The only concern with the discovery of the pair of quipu (Collata quipu) is that they are dated mid-18th century, which is 200 years after the Spanish first colonized, in 1532. The question is now, are the narratives due to the influence of alphabetic writing or do they stem from the original Inca narratives. 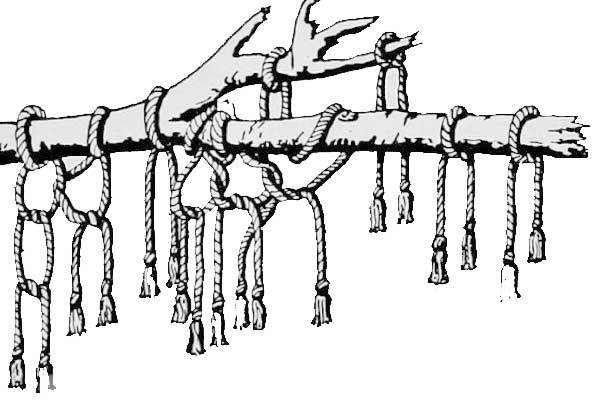 Are Inca Quipu Ancient Encyclopaedia? 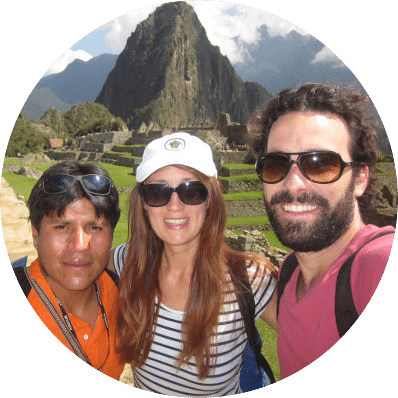 The discoveries that undergraduate student at Harvard University, Manny Medrano made in his freshman year at college, go a long way to prove that the quipu was much more than a numerical system. Medrano stated that the quipu are essentially “ancient Excel spreadsheets”, which we now refer to ancient encyclopaedia, of course. Medrano was able to match the six quipu he was studying to a census recorded by the Spanish in 1670, which recorded 132 Recuay people. Much like Hyland, Medrano hypothesised that each color and knot held meaning. He further hypothesised that the direction of each knot (i.e. left-stitch or right-stitch) held its own meaning as well. With this theory in mind, he continued to study the quipu and discovered that the colors corresponded with the first names of the Recuay people recorded in the Spanish census. He also discovered that the knots told a story of the village and the villagers. He was able to surmise that there were six clans in the village, and the knots helped distinguish the social status of each clan, as well as the status of each villager in each clan. 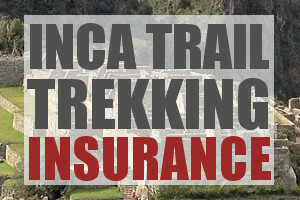 It is truly a fundamental discovery in the Inca history. We know that history is very often (almost always) written by the victor. However, this discovery, as well as the discovery made by Hyland, will give the ancient Incas an opportunity to tell their story. It is now believed that the quipu were not only used to store numerical data, but also narratives, such as letters, stories and myths. It is an opportunity for the history of the conquerors to be overwritten by the history of the conquered. What is truly remarkable, is that this monumental discovery was made by a college undergrad on his spring break, whereas archaeologists and anthropologists have been trying to decipher the intricate knots for over 200 years. Perhaps it was just a case of having the right skills, and a fresh mindset. Medrano was majoring in economics at the time of his discovery, and the puzzle of the quipu seemed to only fuel his need to discover its secrets. He hopes to help uncover the mysteries of their intricate language, with the goal of giving voice to the true events of the past.